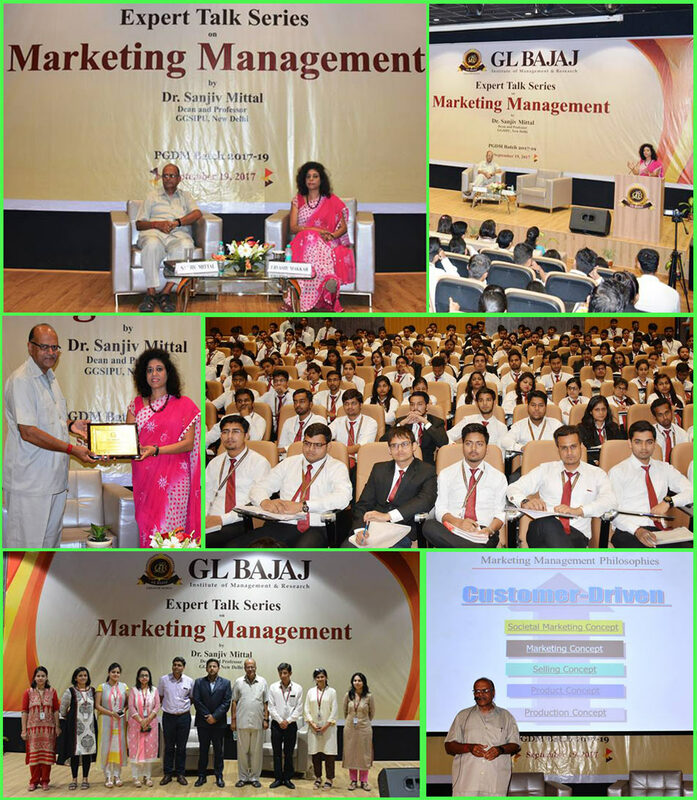 GLBIMR organized a full day session on Marketing Management”, under the ongoing Expert Talk Series, initiated by Dr. Urvashi Makkar, Director General, GLBIMR; on September 19, 2017. The Guest Speaker of the session was, Dr. Sanjiv Mittal, Dean, – University School Management Studies, GGSIP University, New Delhi, Who is an acclaimed academician with more than 30 years of rich experience, and several accolades for his contribution in the field of education. Dr. Urvashi Makkar, while welcoming the Guest Speaker, shared that the main objective of providing these opportunities, is to apprise the young minds with the current scenario prevailing in the industry and to inspire them to imbibe the marketing concepts. Dr. Sanjiv Mittal, gave very valuable insights during the session, he shared various concepts of marketing management like, holistic marketing, the profit triangle, loyalty and retention, STP, consumer behavior, the concepts of value creation and latest marketing strategies. Such customized sessions prove to be very valuable learning experience for the students, enhancing their skills and sharpening the concepts.